Volkswagen AG has recruited Frank Tuch, a former quality executive at Porsche, as its chief quality officer. Tuch, 43, will leave his current post as chief operating officer of the British niche sports car maker Lotus Group at the end of July, Lotus said last Friday. Volkswagen CEO Martin Winterkorn is an admirer of Tuch's work in his previous post as Porsche's director of quality management, and credits Tuch with Porsche's rise to the No. 1 spot in the 2010 J.D. Power and Associates U.S. Initial Quality Survey. 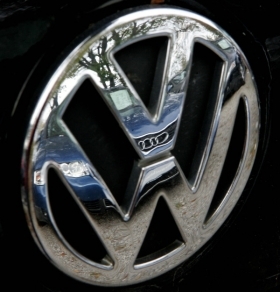 Winterkorn expects Tuch to help Volkswagen and sister brand Audi boost their ranking in the closely watched survey. Both brands consisently achieve results below the industry average in the ranking, hampering VW group's efforts to improve sales in the key U.S. market. Tuch "will bring us forward in the USA," Winterkorn told reporters at a press event near Munich earlier this week. Lotus CEO Dany Bahar said: “Frank was approached by the Volkswagen Group shortly after agreeing to join Lotus and it was not a consideration for us to stand in his way in pursuing this one-off opportunity." Bahar said Tuch will continue to work for Lotus as an adviser.